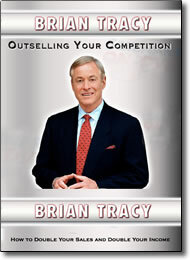 Outselling Your Competition DVD by Brian Tracy – Free Video Clip – Discount! In this powerful session by Brian Tracy, you’ll learn how to sell more, faster and easier than ever before. He’ll give you a series of practical, proven techniques you can use immediately to get more appointments and make more sales. You’ll also learn how to get motivated and stay motivated day after day. This seminar is a “must view” program for all salespeople! Brian Tracy is one of the most in-demand speakers in the world on the subject of success. He’s a dynamic and entertaining presenter, teaching critical laws and important ideas on how to reach higher levels of achievement, and avoid the most common reasons many people fail.